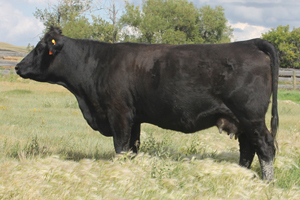 Diesel combines calving ease with big time performance. 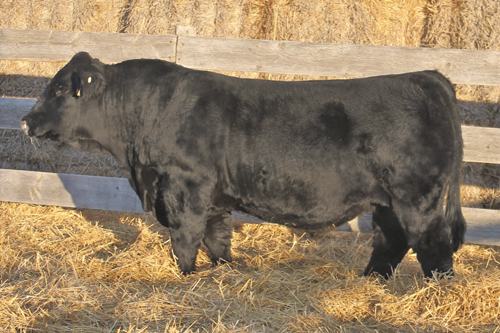 His 2 yr old dam had him unassisted at 82lbs and weaned him at an actual weight of 1015lbs, a pretty impressive birth to weaning spread.. We expect Diesel to also add his length of body, moderate frame, width of top, and muscling to his calf crop. 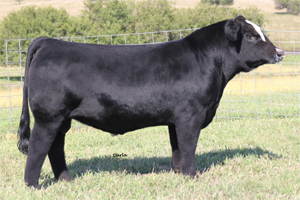 Diesel 2D and his dam were grand champion cow and bull calf pair at the Frontier Days pen show. 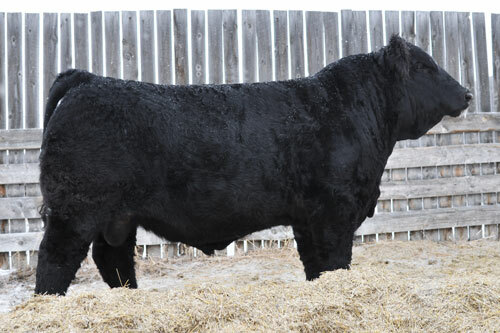 He was also exhibited at the Ranchmans pen show where he was champion bull calf over a large entry of all breeds.